“Play It Again, Sam” was written for Woody Allen’s 1969 play of the same name, where a nebbish film reviewer is coached in his lackluster love life with tips from his alter ego, Humphrey Bogart. 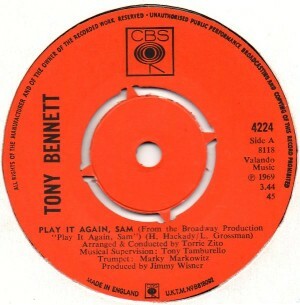 The play starred Allen, Diane Keaton and Tony Roberts, all of whom reprised their roles in the 1972 film version. And, to be clear, no one ever said “play it again, Sam” in the film Casablanca. Remember the love song you used to play? The song that you played when I used to sing? 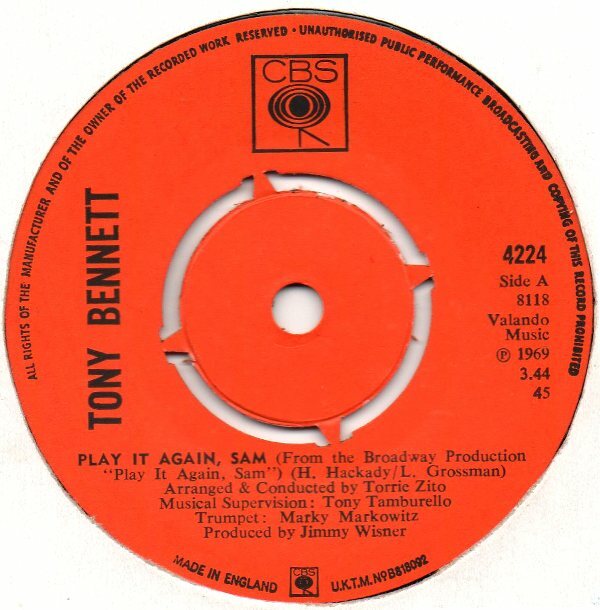 “Play It Again, Sam” was recorded on March 27, 1969 and released that year on the album I’ve Gotta Be Me. It was arranged by Torrie Zito.